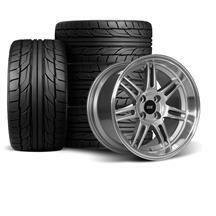 will these fit without any issues on my 84 capri running 3" tailpipes and these would make the cars appearance so much better. I put a set on my '91 and yes they do look amazing. The only thing I had to do was use a small wheel spacer to clear the quad shocks. I used an 8 mm spacer and everything else is great.